Join us for amazing voyages of discovery aboard the Wanderbird. We love what we do and hope to be your hosts on an amazing eco adventure in Maine. industry in the Lakes & Mountains Region. 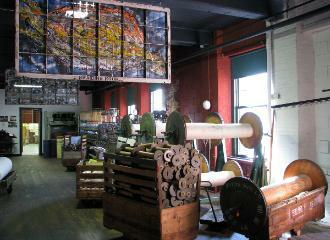 through Columbus Day, Monday through Saturday 10:00 a.m. to 4:30 p.m.
machinery are part of the exhibits at Museum L-A inside the 1850s Bates Mill. May through October, Tuesday through Saturday from 10:00 a.m. to 4:00 p.m.
wall murals by regional folk artist Rufus Porter. Credit: Bethel Historical Society. from 1:00 p.m. to 4:00 p.m. on Saturday and Sunday in July and August. the mill yard. Call 207-592-1807 for operating hours and more information. November to May on Tuesday through Friday from 1:00 p.m. to 4:00 p.m.